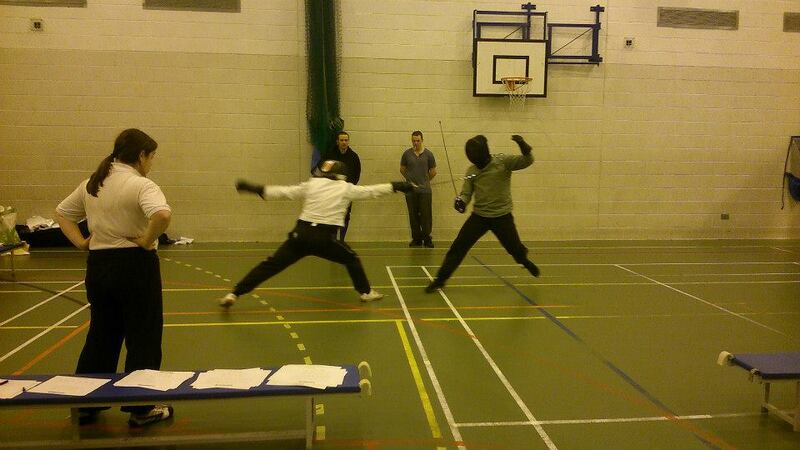 Fencing Photos. 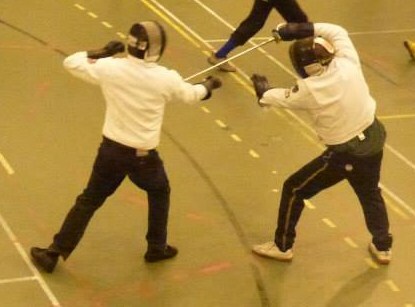 Photos of Fencing. What were you expecting that would mean, exactly? Above... A successful attack at Smallsword Symposium 2013. 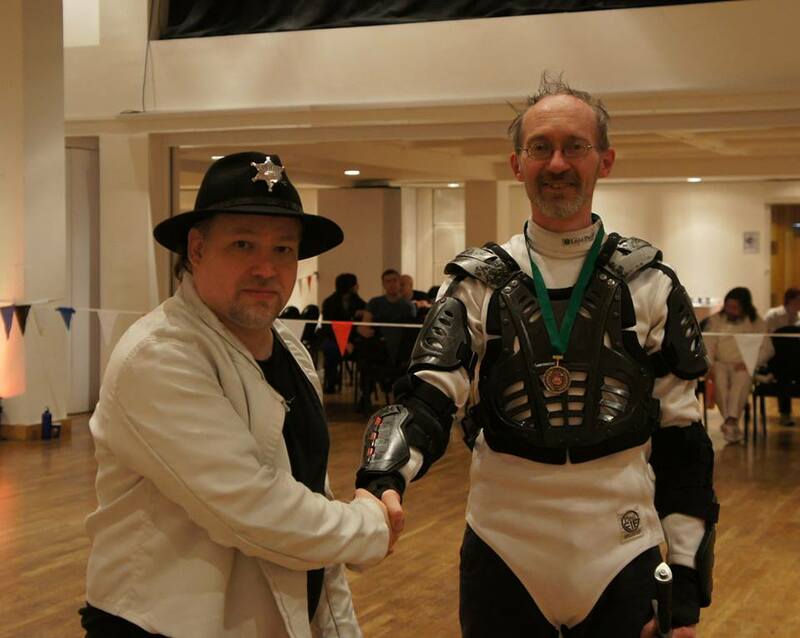 My hand position is rather low and my back foot is... awful... suggesting that this was a piece of crass opportunism that caught my opponent at a bad moment. But hey, I win! 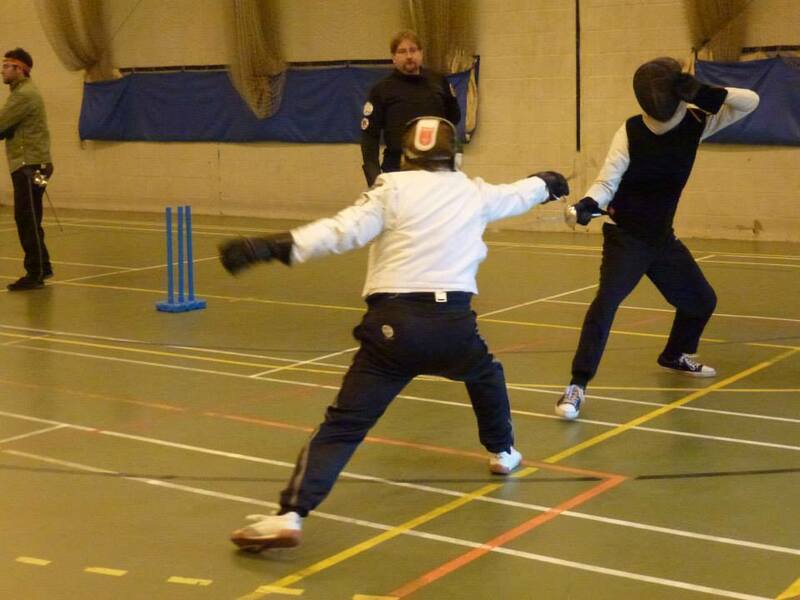 Off hand deflection followed by a plunging thrust to the chest. That'll spoil your whole day. More mildly embarrassing footwork, but the timing seems good.